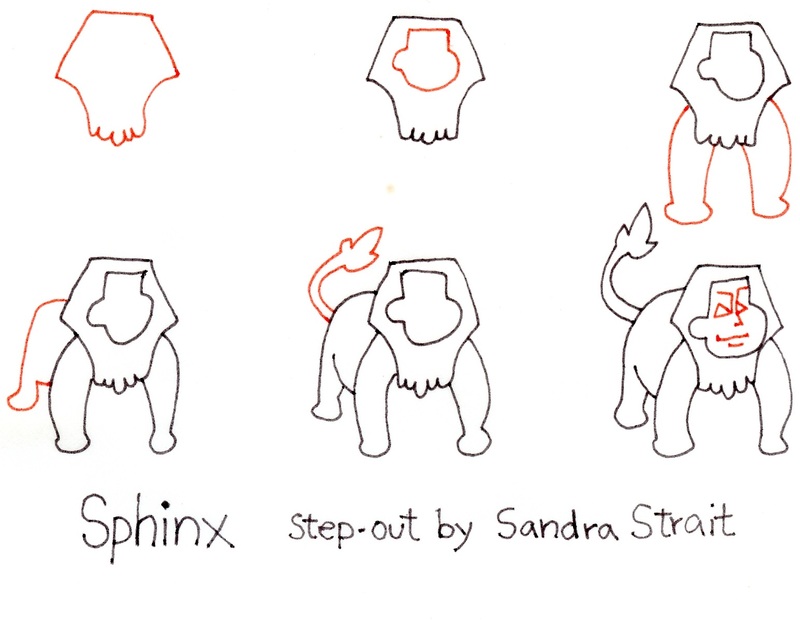 I received a special request from Howard, asking if I had a Lion step-out as he had been challenged to draw a Sphinx. I didn’t have a lion step-out then, but now I do, and, of course, I couldn’t resist doing a Sphinx as well. 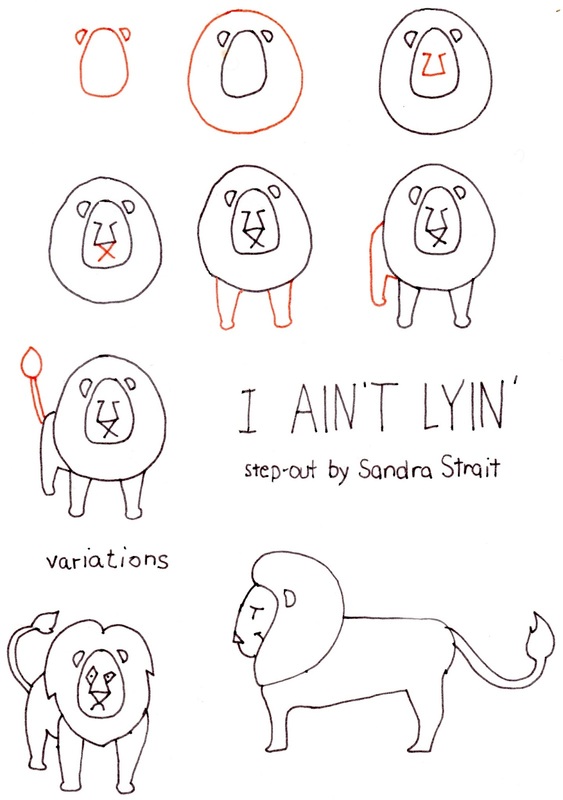 When drawing this lion, don’t obsess over getting the shapes just right. You’ll note that in the variation, I made the lion’s eyes different shapes and sizes, and his mane is a little lop-sided. These things add character-if you don’t get the shapes exact, you may come up with something far more interesting than if you did! This Sphinx is more of a challenge than I normally do for my Fantasy Landscape step-outs so don’t be surprised if it is more difficult. The face is a more complex shape, but it is essentially a circle overlapped by a square with a smaller circle for an ear. It might help if you use a pencil to draw a full circle overlapped by a full square and a smaller circle, and then erase the parts you don’t need. The main thing is don’t struggle to get everything exact. Your Sphinx doesn’t have to look like mine. It’s your fantasy landscape.